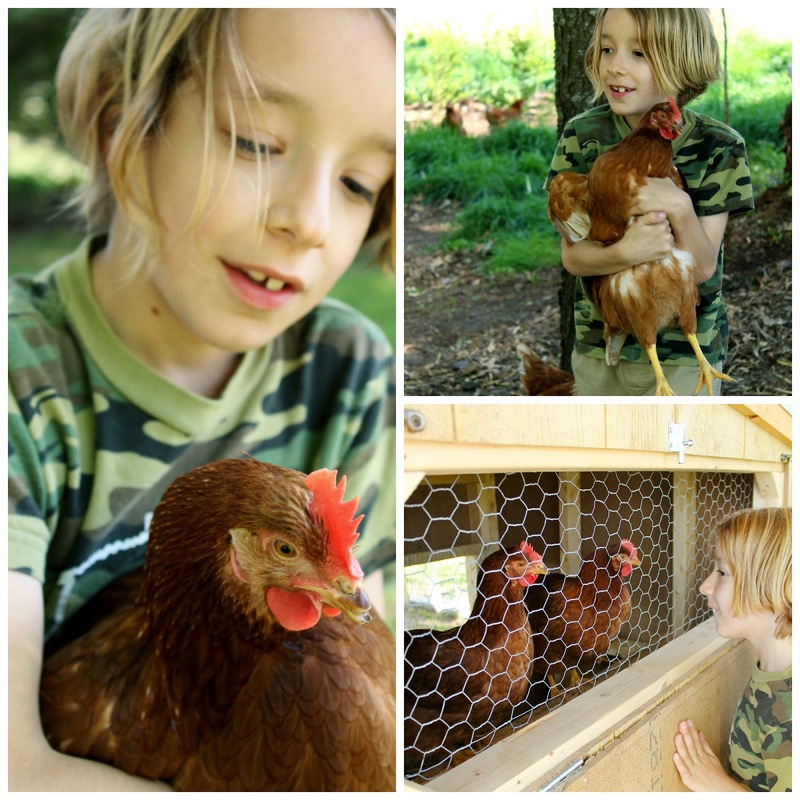 How could you go wrong with chickens, dogs AND kids all in one lovely post? You just can't. When I realized how these things were all together in one slice of life, I had to grab my camera. And I'm glad I did. Two things are happening here. One is that we are letting our chickens out of their pen to begin exploring the yard. The other is that our friend, Amelia, brought her three lovely and lively children over to meet the chickens. Also? Oscar is running around generally making a nuisance of himself to these chickens. It's a cute collision. I hope you enjoy it as much as I did! 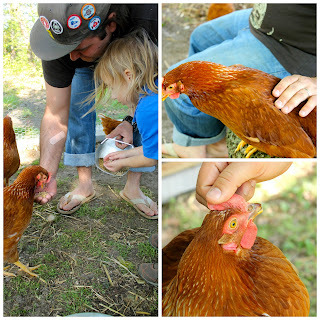 Rowan and my husband feeding the chickens. Also, some pics of my hubby petting his chickens. I personally like the "comb massage" as he calls it. 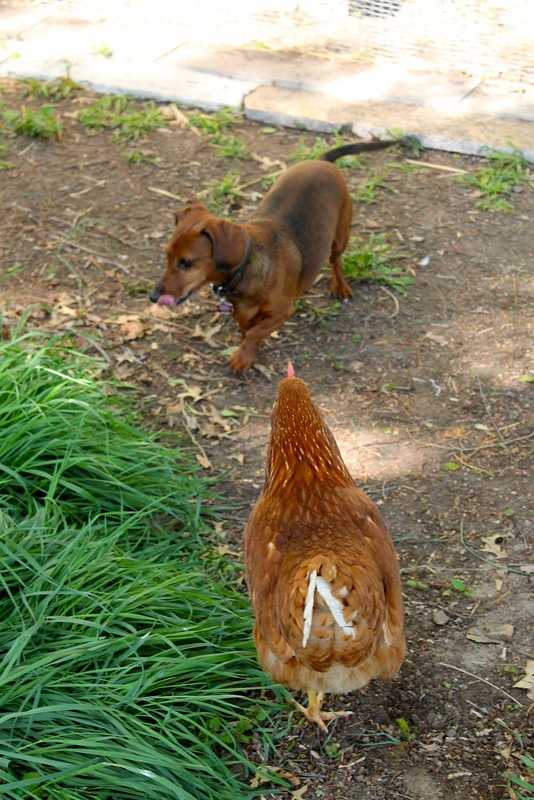 Oscar has been having an especially fun time with the chickens. He is obsessed and yet, a little bit afraid. Those chickens will charge him without a second thought! Kai really took to the chickens right away, even being so bold as to pick them up like a pro! He enjoyed holding them, too, as you can tell. Future farmer? I don't know, but Mei certainly had a natural ways with these ladies, and not an ounce of fear! I loved this picture of Kai looking in the on chickens. It makes me smile every time I look at it! !